Do you own a brewery or winery? If so, then you might want to reach an even wider audience with a WordPress website or blog. 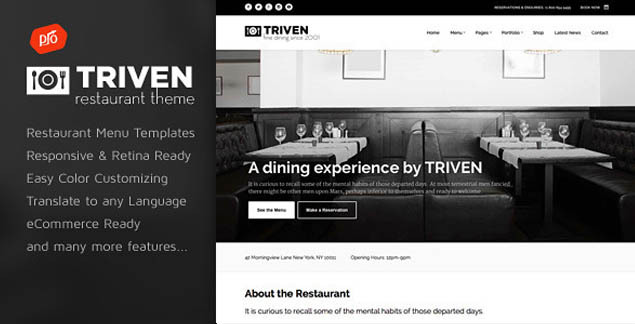 If you’re looking for the best themes, then look no more than these premium WordPress themes that are especially designed for breweries, pubs, restaurants, and other similar businesses. The following themes were designed in such a way that they possess unique style and quality features. 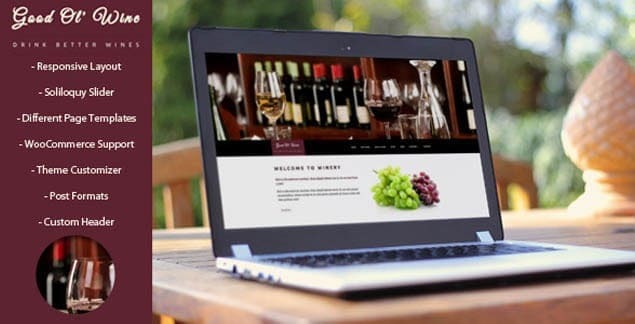 These themes will also help you easily build a professional site to showcase the unique experience of everyone getting a taste of your products, dining in your pub, or visiting your brewery. Without further ado, here are 10 beautiful premium WordPress themes for brewery. Check them out and see which one suits your needs and preferences best. Enjoy! 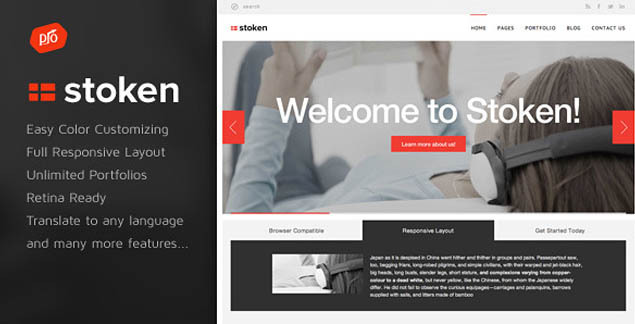 Stoken is a premium WordPress theme that’s not only suitable for brewery sites, but also for pubs, restaurants, and cafés. It’s a highly customizable and feature-rich responsive theme that comes with detailed help file so you can get started right away. Showcase your products and services with this fully featured and easy to customize premium WordPress theme. It’s perfect for your brewery facility or pub! It comes with built-in documentation so you can start creating your own website right away. 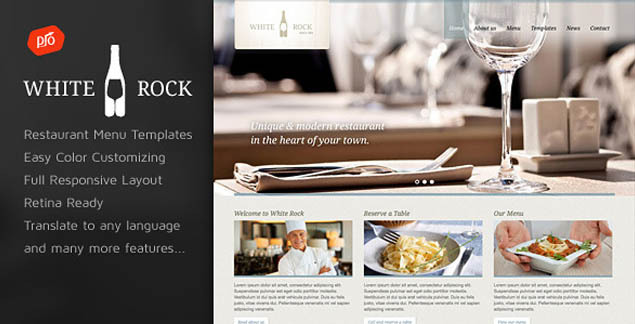 Forked is a beautiful premium WordPress theme for brewery, restaurant, bistro, hotel, and other similar types of websites. 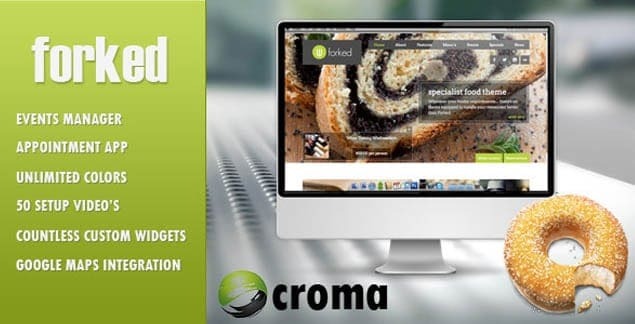 The theme is built with the powerful Croma Restaurants and Events framework which brings awesome features to the table – ones you won’t find anywhere else! 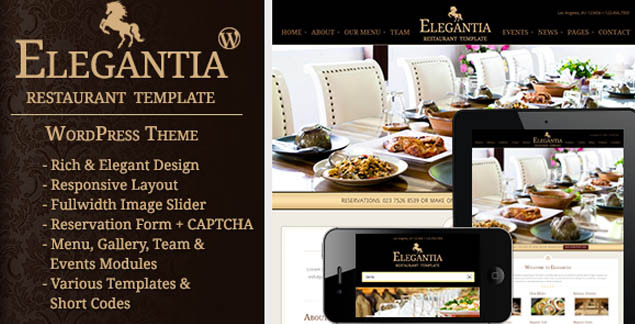 This beautifully crafted premium theme for WordPress is ideal for restaurants and cafés. It comes with all the features you need to create a fantastic website for your business. Some of its features include reservation, food menus, events, gallery, team members page, contact page, and a homepage with full-width slider and service information, just to name a few. 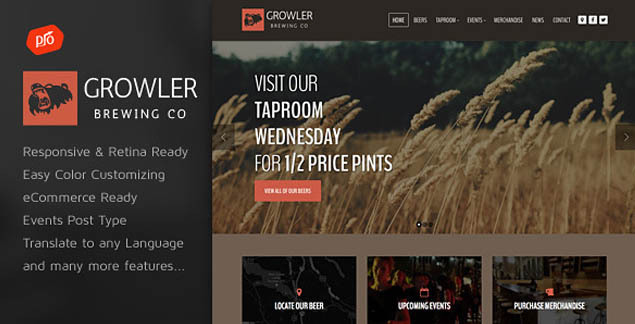 Growler is a well-designed responsive premium WordPress theme for brewery facilities and other similar businesses. It comes with all the features and options necessary to create an awesome business site. 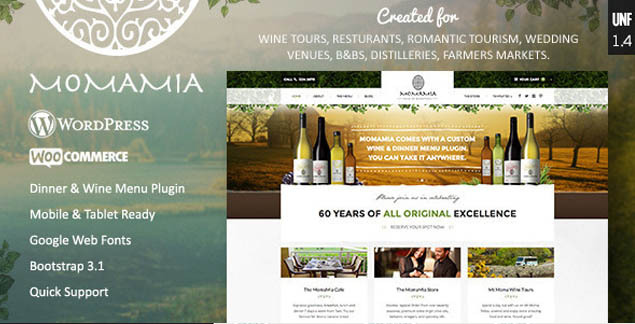 This beautiful premium WordPress theme has a responsive design that’s perfect for breweries and wineries. It’s a user-friendly theme that looks beautiful on any device or screen size, big or small. What’s more, it’s compatible with major browsers. 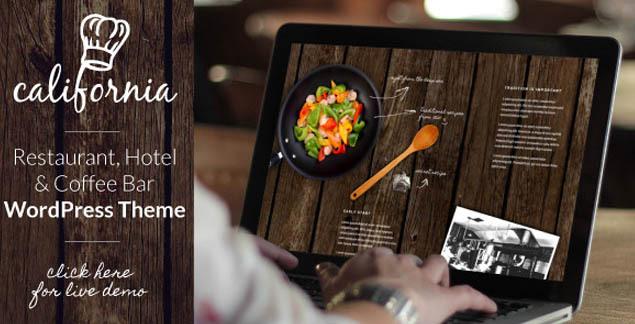 California is a beautifully crafted WordPress theme that’s suitable for restaurants, hotels, cafés, breweries, and other food and drink businesses. 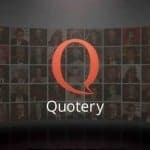 It supports HTML5 video background and many other awesome features. This theme was created and designed with creative websites in mind. 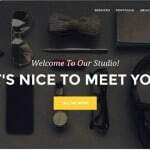 With this highly customizable and feature-rich WordPress theme, you can showcase your products/services in a beautiful and professional website. It’s the perfect choice for breweries, pubs, and restaurants. Momamia is a Mediterranean style theme that’s perfectly suited for breweries, wineries, restaurants, coffee shops, and other similar businesses that are looking for a refreshing outdoor feel. It’s built with Greek, French and Italian restaurants in mind. It’s been carefully designed, coded, and tested. 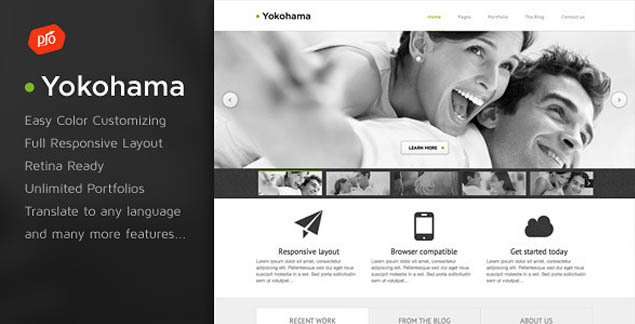 This beautiful premium theme for WordPress has a responsive design and retina-ready display. It’s translation ready with a .po file. With it, you can create as many portfolios as you like, and even supports unlimited sidebars. It’s built using HTML5 Boilerplate for a fast, robust, and future-proof website.